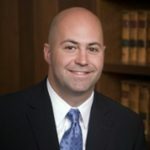 Christopher Nace practices in the areas of medical malpractice, drug and product liability, motor vehicle accidents, wrongful death, employment discrimination and other negligence and personal injury matters. Mr. Nace was born in Washington, D.C. He graduated from Georgetown University with a degree in Government in 1998 and currently serves as Class Chair. In 2003 Mr. Nace graduated from Emory University School of Law where he served as Editor-in-Chief of the Emory Law Journal. Mr. Nace also earned his Masters in Business Administration from the Goizueta Business School at Emory University in 2003. While enrolled in Emory’s JD/MBA Program, Mr. Nace was recognized as the Rothfeder Family Scholar and was awarded the Emory School of Law Dean’s Public Service Award. Mr. Nace believes deeply that our civil justice system is the only remaining institution that allows individuals to take on some of the most powerful industries and organizations in the world. To many injured people, the courts are the great equalizer--they truly level the playing field. Mr. Nace has always been inspired by those who are courageous enough to walk through the court house door and seek--demand--justice. Representing these individuals is an honor and a challenge that Mr. Nace treasures. Is Cannabis Effective In Treating Brain Injuries? Electric Scooters Are Growing in Popularity, But Are They Causing Head Injuries?